Upstairs Executive Studio unit with Queen Bed and table/workdesk. 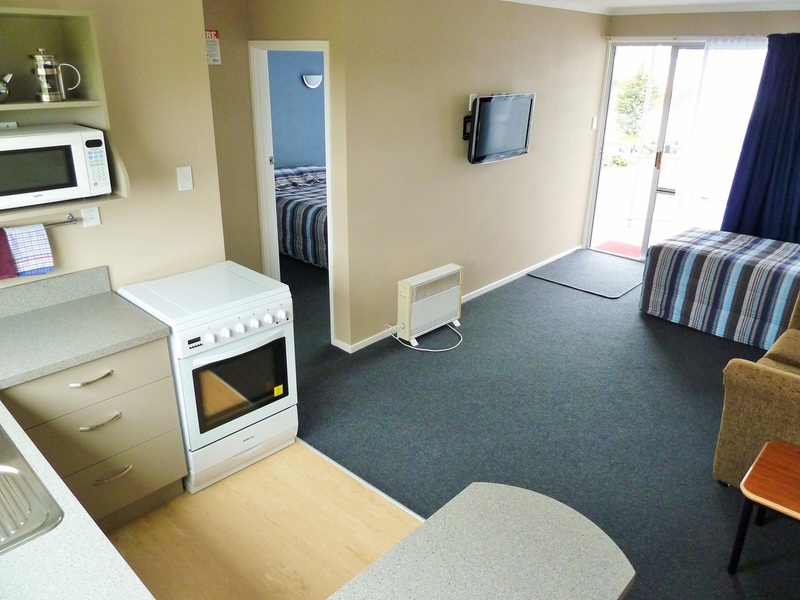 Kitchen facilities include fridge, toaster, microwave & electric frying pan. 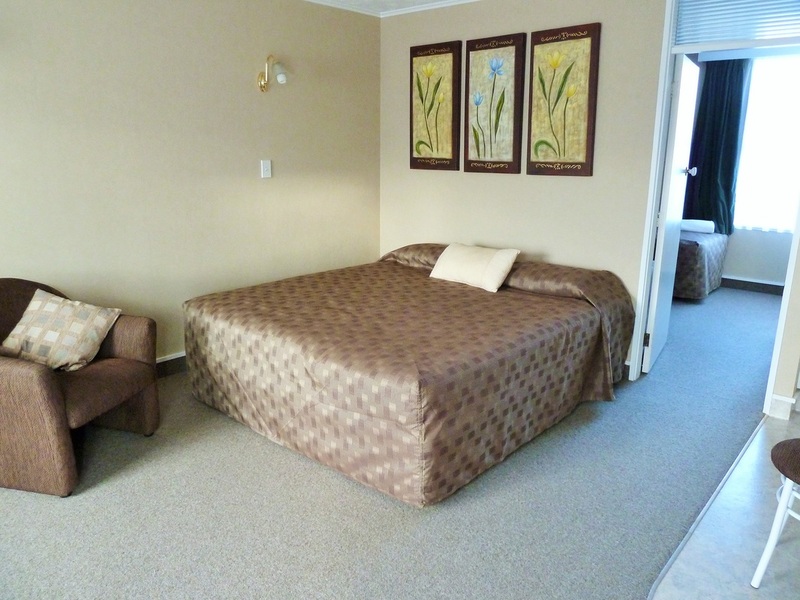 This upstairs 1 bedroom unit has a large lounge area with a double sofa bed & a king bed in the bedroom. 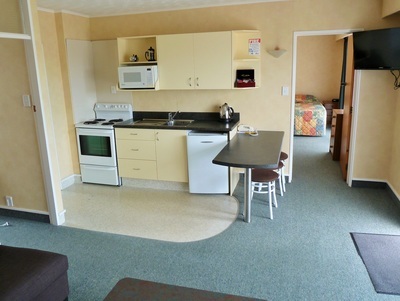 It has a ceramic top cooker with toaster, electric frying pan & microwave. There is a flat screen TV in both the living room and the bedroom. This unit is popular with our business travellers as it is spacious, has a large work desk and is popular for holding small meetings & interviews. Renovated 2011. 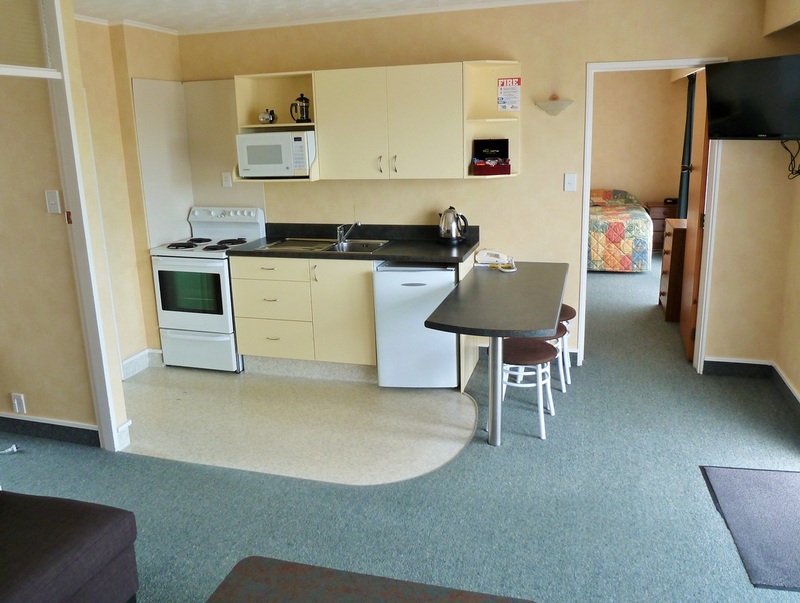 This upstairs 1 bedroom unit has a full kitchen including stove-top oven & microwave. There is a table/workdesk, Queen bed in the bedroom & a single bed in the lounge with a flat screen TV in both the living room and the bedroom. Renovated 2011. 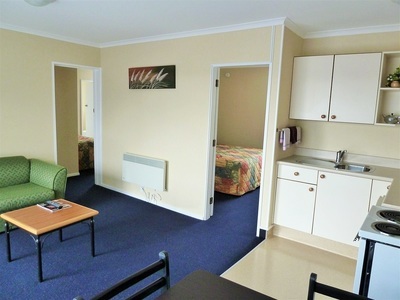 An upstairs 2 bedroom unit which is our most spacious unit. 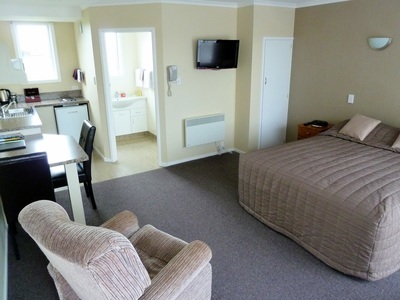 Bedroom one has a Super King size bed which separates into 2 single beds for group or family bookings. Bedroom 2 has a Queen bed & 2 single beds. 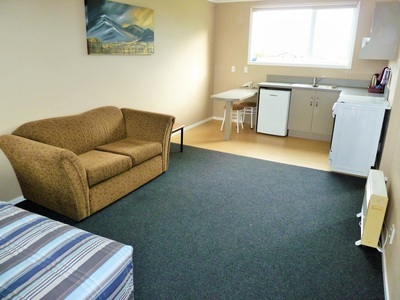 This unit has full kitchen facilities including stove-top oven & microwave. Downstairs One bedroom unit with Queen size bed in the lounge & 2 single beds in the bedroom. 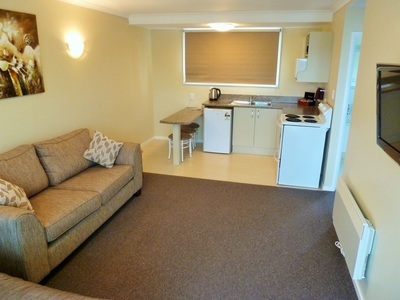 Kitchen facilities include & table/workdesk, microwave, electric frying pan & 2 cooking hobs. 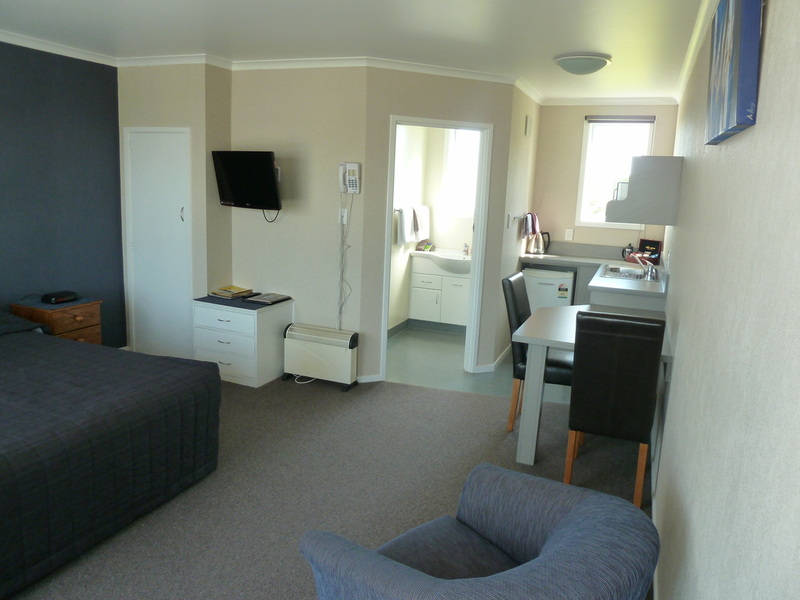 Downstairs, One bedroom unit with separate lounge area. 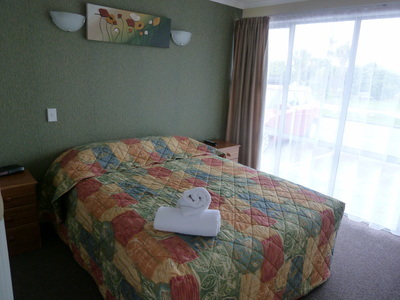 King size bed (which splits easily into 2 single beds). Single Spa bath. Kitchen facilities include 4 ceramic hobs & microwave. There is a TV in both the living room and the bedroom. 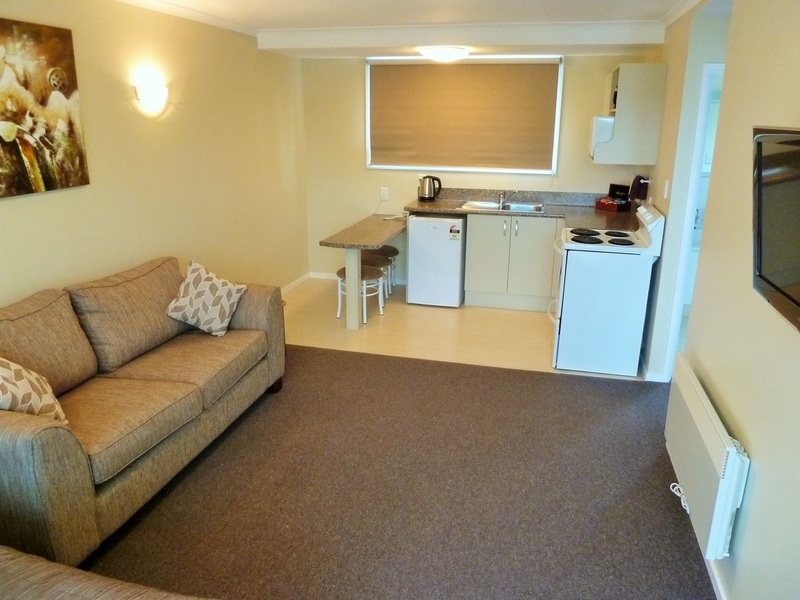 This unit is popular with our business travellers as it is spacious, has a large work desk and is popular for holding small meetings & interviews. 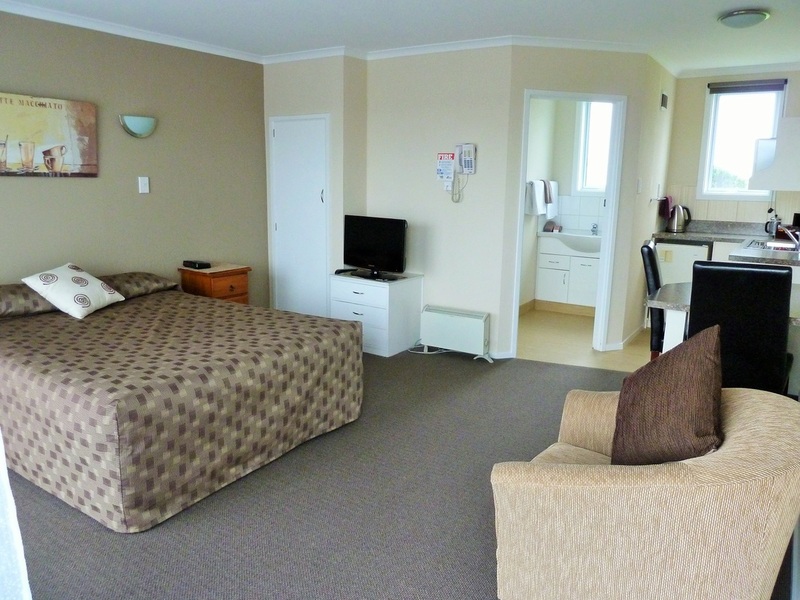 Downstairs, One bedroom Double spa unit. King bed in bedroom and single bed in the living room. 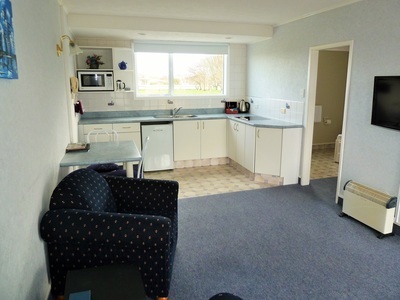 It has full kitchen with toaster, microwave & stove top oven. 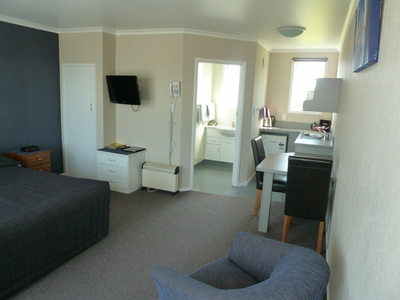 There is a flat-screen TV in the living room & the bedroom. Renovated 2012.